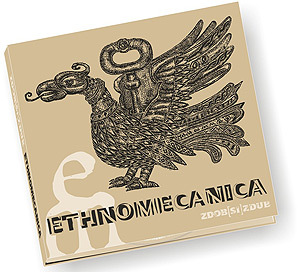 „Ethnomecanica” – the new „Zdob ?i Zdub” long play. 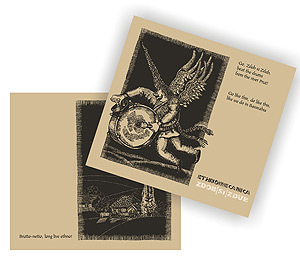 Entrance ticket: the album “Ethnomecanica” (sold in specialized stores in Romania and at club’s entrance) or the invitation. We prepared for you: new songs, many special guests, positive energy and…six dashing musicians. You can find the press-release in Press. The video for "Hora Cosmica" is almost ready. The cartoon part of it was made in June. And the video-part was shot on the 14th of October by clip-maker Igor Cobileanski and animation producer Alexandra Evseeva in Moldovan sand-pit "Pruncul", near Vatra village. The sand-pit convincingly played the role of the Martian landscape, and the Zdubs, in their pilot and fireman costumes, were acting as if they are partly cosmonauts, partly Martians. The sand-pit landscape looked not only like Mars surface, but also like an American canyon, and sometimes it felt like some angry painted Indians were hiding behind the hillock... Well, maybe it was wine’s fault, who knows... And the result of all it? 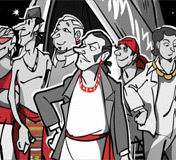 - a great performance with a lot of humor in Zdub si Zdub style. We would like to express our special thanks to the head of "Pruncul" sand-pit for the place, to the military aerodrome Marculesti and Department of Exceptional Situations for the offered costumes. And, of course, many thanks to our Martian friends!